In order to circumvent the sanctions, Russia stated that the turbines are intended for the Taman thermoelectric plant located on the territory of RF. 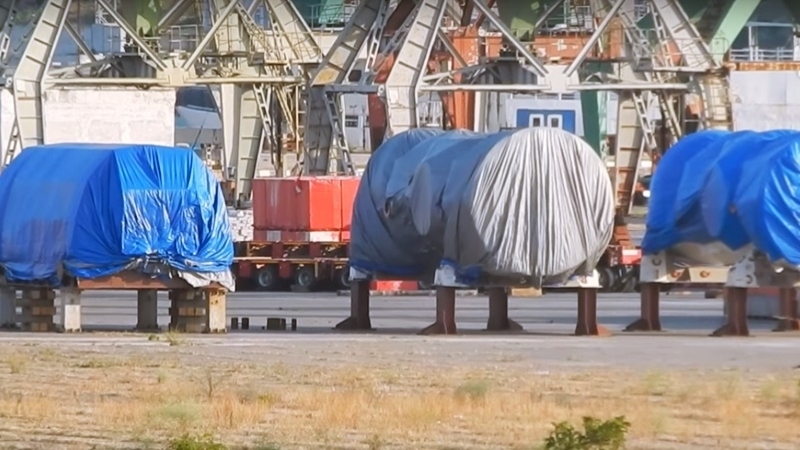 Despite the sanctions, the invaders brought to occupied Sevastopol two gas turbines, which they allegedly intended to buy for the Russian TPP "Taman". This follows from a video published on June 30 by a local resident on Youtube. “We are in the Kamyshovaya Bay [Sevastopol, - Ed.] and we can see that a new cargo was brought for the Sevastopol TPP. Yesterday I posted photos on the forum, and in general came to the conclusion that this is a turbine. The epopee with the turbines was completed in general successfully. All that remains is to wait until they are transported. Of course, it would be at night,” the author of the video says. Earlier, in March the German concern Siemens stated that it fulfilled the deliveries of four gas turbines to the Russian "Tekhnopromexport". According to the contract, the supplied turbines are intended for the construction of a power plant on the Taman Peninsula of Russia. A year ago Reuters reported that turbines manufactured by the German company Siemens can be delivered to the peninsula within two months. It is worth noting that the sanctions that the European Union imposed on the Crimea prohibit European companies from providing energy technologies to the Crimean peninsula or taking measures to circumvent the sanctions.